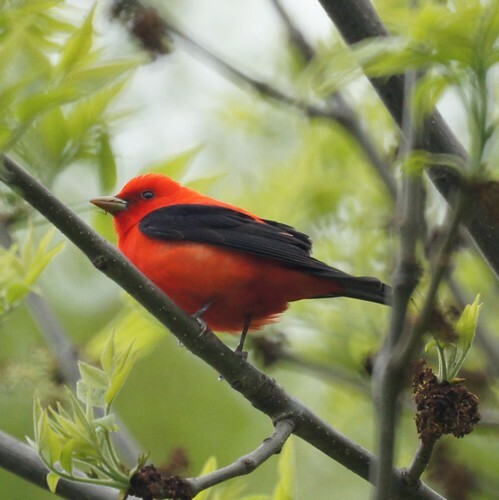 The Scarlet Tanager was our best find at Prospect Park in Brooklyn. Previous Posts Nashville Warbler from Prospect Park Black and White Warbler Photos by Catherine Common Morrhen: Photo by Wendy Black-crowned Night Heron: Photo by Nelson Catbirds Return Neighborhood Birds Ochre-bellied flycatcher from Trinidad Blue-chinned Sapphire sticking his tongue out. Hey, Where is the lake?